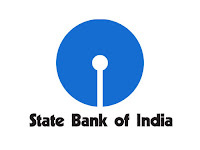 State Bank of India is inviting applications for filling up various posts Customer Relationship Executive, Relationship Manager , Investment Counsellor Posts. So, those candidates who are willing to work with this organization they may apply for this post. Graduation/ Post Graduation from the reputed Colleges with Knowledge and Experience in Market Analytics and Passion for Research in Economics trend and Products. Age Criteria : Candidates age limit should to be possess minimum age 20 years & maximum age 52 years.